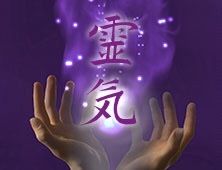 An empowering course for you to learn how to teach Reiki and upgrade your reiki energy to Master teacher level. Explore what this means for yourself and learn to deliver effective courses to your students. Further to that the level comprises a wealth of techniques which will help with your own healing journey and your spiritual growth. You will be provided with the manual ‘Shinpiden’ by Taggart King. You will also be given additional Japanese reiki techniques. We will use all the healing modalities at our disposal to further your self healing as well as your spiritual journey. You will receive your full Master Teacher certificate on completion of the course and an opportunity to partake in regular reiki shares, as well as email links to ask questions for your ongoing development. Note that it is usual for master students to come back to discuss and practice techniques further. This is quite normal and allows you to develop at your own pace. Courses can be done one to one, or up to 4 students. However this is such a special time that I aim to maintain small class sizes so that you have plenty of time to experience each aspect of the course and our that we can work in plenty of time for discussion. For more information, to book or to arrange to meet up please call, text or email me. I look forward to meeting you.